Batman #12 – Breaking Batman! Selina. I am not one to write. Visiting you in Arkham would be… unproductive. We’d just fight. It’s not time for that. It’s time to accept what we really are. I think if my parents could see me now, they would laugh. Dressed up as a bat. My parents were kind and dignified. They would never accept or understand this. All they could do is laugh. And they should. It’s funny. A little rich kid who lost his parents, using his money and resources to start a one-man war against crime. The ears and the belt and the leather and the armour. How sad. How stupid. How immature. How hilarious. I want to laugh, too. But I don’t. I wage war. But you understand, Selina. You know what this is. After the gun and the pearls… there was nothing left. I was pain and nothing more. Gone and dead. I’m not dignified. I’m not kind. I was done. I surrendered. My life was no longer my life. I swore by the spirits of my parents to avenge the deaths by spending the rest of my life warring on all criminals. That’s what it is. The ears. The belt. Looking over a dark city perched on a gargoyle. It’s not funny. It’s the choice of a boy… to die, and become something else. I am Batman. I am suicide. And you know this, Cat. Because you’ve made that same choice. You said you killed 237 people. But you lied. I sent you to prison because I couldn’t find proof. But you know it and I know it. You’re a fraud. You’re like me. You’re dead, and you know that’s a choice you made. I’m going to free you, because I have to. Because you told a lie, and I will always find the truth. And when you’re free, we’ll put on our masks, and finally, together, we’ll laugh. This comic. This comic was insane. This was, without a doubt, my favourite Batman issue to come out this year. This is one of the best issues published this year that I happened to read. This is one of the best single issues of a Batman comic I have ever read. My god, this is good. I’m not going to lie, Batman #12 really hits home for me personally. I have a long and hilarious history with depression and suicide, so talking about that stuff, especially in a new and meaningful way, that’s going to have a special personal meaning with me that might not exist for others. So I do understand if not all of you are going to think this is the best thing ever. But it’s hard for me to not see that in this comic. This issue defines Batman in a very special way that, in spite of this character being around for so long and having been explored so thoroughly, hasn’t touched on this before. And yet, it all makes sense, to me. This is who Batman is and always has been. He gave up everything he is. Bruce Wayne killed himself… and became a Bat. That’s why Batman is so thoroughly invested in his role as a superhero. That’s why virtually everything he does is in the name and with the goal of fighting crime. So to me, the issue works, and works well, in explaining Batman. Yes, it is silly to dress in capes and jump around rooftops… and yet there’s nothing silly about Batman. As goofy as superheroes are, and yes, it is all a little dumb, these stories, ideas, and characters still have meaning in spite of the perceptive silliness. We learn the very realistic fact that Bruce was suicidal as a boy, and, essentially, surrendered to those feelings. Though he didn’t physically kill himself, he did give up any dreams and aspirations he had – any notion of a normal life of happiness and leisure. He gave up everything for a goal, and that goal became his life. 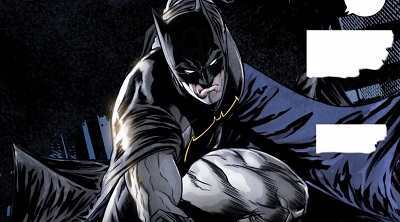 Batman is not suicidal. He is suicide. That’s a clever double meaning for this story arc’s name, and it works well in service of that. On the surface, this is a story about Batman forming his own Suicide Squad and going up against Bane. But, as we learn here, that’s not what this is really about. This is about Batman and what he is. The Suicide Squad was a distraction, hence why most of them are now dead. This is a story about Batman and Catwoman and what they really are. Because Catwoman did the same thing. As I said in last issue’s review, she gave up everything for her goal, just like Batman did as a boy. Bruce knows this, and while we don’t know why Catwoman lied about killing all those people, I’m sure she had her reasons and we’ll find out soon enough. I’m sure this will also please many who were worried about this story messing with Selina’s character. Everything’s fine, guys. There was never anything to worry about. Man, can Tom King write. This issue really cemented in me just how great this guy is turning out to be as a Batman writer. And with some excellent art by the penciller, inkers, and colourist, this really was a fantastic issue. I highly recommend you check this one out for yourself.